Should You Buy a Restaurant or Start From Scratch? If your dream is to own a restaurant, you might consider buying an existing restaurant that is for sale. That certainly can be done, but there are some things you need to know before you buy. First, understand exactly what it is you are buying. You can buy the actual restaurant, location and all. Or, you can buy just the name of the restaurant, just the location, or just the equipment. In any case, here are some things to consider. There are many reasons that a restaurant could be for sale. One is that it's losing money and the owners want out of this sinking ship. Ask to see the restaurant's bank records or the owners' tax returns and find out just how well or badly it's doing. Don't settle for a profit and loss statement. It might be fanciful. If the current owners refuse to show you their bank records or tax returns, it's a big red flag. It's not necessarily a deal killer though. If you can see what's going wrong, and you think you can fix it, it might still be worth considering at the right price. No matter how good the food is, if your restaurant location is out of the way or in a bad part of town, it will be hard for you to succeed. Look for a restaurant located in a busy area with ample parking. If it's in a city, look for plenty of foot traffic. If it's in the suburbs, look for a busy location. This is a tricky question. Say you're offered a low price. 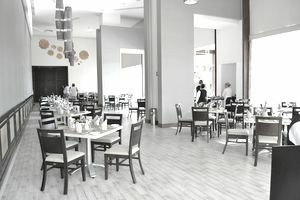 The restaurant has a bad reputation for its lousy food, but it's in an excellent location, the bar does a good business, and it has a newly remodeled banquet room. If you can turn the kitchen around, you might have made a great deal. However, you can often buy an existing restaurant's equipment and space for less if you forego the name. If a restaurant has a good reputation and a solid customer base, it might be worth paying more for its name and menu. But if a restaurant has gone downhill, its name may be more a burden and a bonus. If you buy just the restaurant equipment and lease the space, you can start fresh with your own brand. Will Donald Trump Help the Restaurant Industry?